The Neff W746IX0GB is a compact and stylish washing machine perfect for any home, with a white finish this washing machine is perfect for any home. 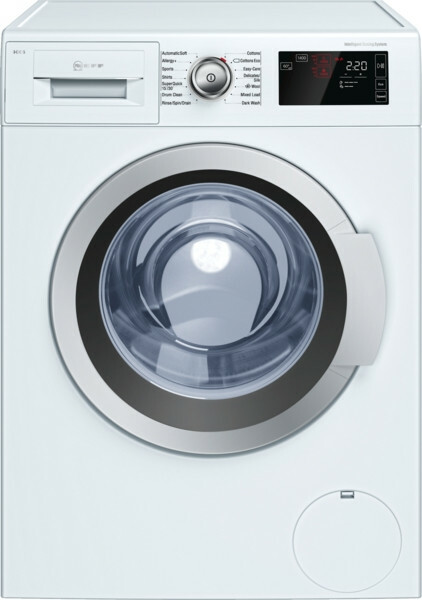 With an 9kg capacity and 1400 rpm this roomy washing machine can cater for any washing that you may need to do. The LED display, time remaining and Rapid 30 minute feature this washing machine is easy to use and ideal for any household. If your appliance develops a fault, the manufacturer's own engineers or a certified repair centre will be instructed to repair it.